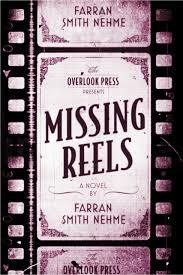 Missing Reels is a novel about the search for a lost film, filled with characters in 1980s Manhattan who act like the fast-talking denizens of a 1930s screwball comedy. That's a lot of nostalgia pulling from different directions, but all the elements come together nicely in this addictively entertaining debut from Farran Smith Nehme, better known in the classic film world as the beloved writer of the popular movie blog Self-Styled Siren. Yazoo City, Mississippi transplant Ceinwin Kelly (pronounced KINE-win) works behind the jewelry counter of a New York City vintage clothing store, where she admires the merchandise, but is constantly tortured by her ill-tempered boss. At night she chain smokes and watches old movies on VHS with her two gay roommates, or goes to the repertoire theater by herself. She dresses like a 1930s starlet, or 1920s, depending on what one of her roommates can snag with his five finger discount. An elegant and mysterious elderly woman in her building named Miriam attracts her attention, and it isn't long before she learns that she had a brief career in film. 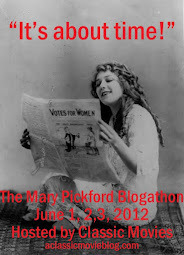 Miriam had one starring role, in the long thought lost silent film The Mysteries of Udolpho. Ceinwin becomes obsessed with finding the film, and she enlists a growing cast of characters in her quest, among them collectors, preservationists and Hollywood old-timers. She also falls in love with British mathematician and academic Matthew, who provides crucial aid in her search. This book is tailor made for fans of classic Hollywood. There are loads of mentions of films, stars and other bits of history from the golden age of the industry. I always lit up with pleasure when another reference worked its way into the story, be it a nod to Jean Harlow, or a line quoted from All About Eve (1950). I can see how Missing Reels could appeal to fans of quirky romances and those who are nostalgic about New York City in the eighties as well. The search for the movie doesn't begin until nearly a third of the way into the novel, which I think bothered me because I found the romance that made up the rest of the story less engrossing. Part of my problem was that I couldn't warm up to Matthew. I can't have much love for a guy who cheats on his overseas fiancée and strings along a much less experienced woman. I found him more overbearing than charming. It was hard to root for this pair when I kept thinking Ceinwin could do better. However, the man is extremely helpful when it comes to tracking down information in the pre-internet age. In that regard, Matthew and Ceinwin are a good team. Once the cinematic detective work began, I couldn't put the book down. Real details about film, like the different ways nitrate and safety reels smell and how the preservation process works are combined with "if only it were so" fictional creations like the Brody Institute, a remarkably resourceful organization dedicated preserving film and the prickly Miriam who I would love to encounter in real life. The characters Ceinwin meets in her quest are a varied lot, and her dialogue with them is witty and often funny. I laughed out loud throughout a bizarre scene featuring a Topo Gigio puppet. These quirks made the twists and turns of the amateur sleuth's detective work all the more entertaining. I keep referring to the action as "scenes" because the whole thing felt like a movie unreeling before me, not striving for reality, but rather the heightened romance, action and brilliance of an entertaining flick. On top of all that, Missing Reels contains a plea that we take film preservation seriously, and realize that films in need of restoration are crumbling away in archives, sheds, attics and barns all over the world. That this serious message is at the core of such an amusing read makes me love it all the more. Thank you to Duckworth Publishers for providing a copy of the book for review.